The attitude of the West in general against July 15, 2016, coup attempt in Turkey was really upsetting. Governments of the EU countries and USA kept away from giving a clear and strong support to Turkey’s democratically elected government during and aftermath of the failed coup attempt. On the coup night representatives of Western governments waited to speak out until it became clear that the coup attempt would fail and Erdoğan administration would go on to reign in Turkey. Even after months the West hesitated to take a really democratic stance. What caused this disappointing attitude of the West? In this short article I will try to search the reasons behind West’s historic, shameful, and discrediting failure. Why and how did the West fail? In the days following July 15 coup attempt in Turkey many commentators, including President Erdogan, stated that the West had betrayed its values during the July 15 coup attempt by not giving a clear and timely support to Turkey’s democratically elected government. It is indeed difficult to say that all these criticisms are not founded on strong grounds. This attitude strongly harmed the democratic credibility of the Western world and proved that the West is not immune to violate so called Western values. I will not dwell in whether the Western values are really western values or whether it is correct to define them as such as they are different topics that call detailed analysis. However, if we are to use this definition than we cannot blame the criticisms that the West betrayed its own values. The West likes to consider and present democracy as its own exclusive masterpiece with all its rules and institutions. It is ready to strike at any part of geography in this framework. However, it is important to note that their reaction towards the coup attempt in Turkey makes one question the sincerity of their belief in democracy. In fact there are many events in history that proves that the West is not loyal to democracy, as they want us to believe. If we are to look at recent events, the Arab spring is a perfect example. Most Western countries supported the coup and dictatorial regime of Sisi in Egypt rather than supporting the elected democratic leader Mursi. There has been a merciless attack on Erdoğan by the Western academia, media and government for some time. Before the coup attempt in Turkey, the Western media were already making comments on a probable coup attempt and trying to justify it. A typical example of this is the some articles penned by Michael Rubin, who is an expert in a neo-conservative think tank called American Enterprise Institute (AEI). In one of his articles, which was first published in the AEI website months before the coup attempt and then appeared in other places such as Newsweek, Rubin mentions about a probable coup attempt in Turkey. However, the writing was not in the form of a warning, but rather a hope and even an open support to a probable ongoing plan. The same person tried to justify the coup by explaining why Erdogan deserved it. According to him Erdogan was paranoid and was scared that his presidential complex was going to be bombed. The West was going to support the coup under the condition that coup plotters would turn the country into a democracy. According to Rubin the secular army would no longer watch Erdoğan and will act in the name of democracy and secularism. There was a coup attempt like the one Rubin had foreseen, or in this case hoped. But everything else was refuted. An attempt to bomb the presidential complex was not paranoia, it actually happened. The coup was not planned by secularists as he hoped, but by the members of a religious cult. If the coup was successful a religious totalitarian regime would have been established on the name of “moderate Islam”. The coup plotters’ B plan was to deprive the country from a central power and to create a conflict between various authorities that would send Turkey into chaos. Almost none of the Western countries, including USA and EU member states, showed an open and clear support to a government in Turkey that had been democratically elected nor strongly condemned against the July 15 coup attempt. In the first hours of ongoing coup attempt the foreign minister of the USA did not mention supporting democracy and elected government, but rather emphasized on “peace and stability”. The same USA waited for the country’s power balance to be clear, and confirmation of the loss of the coup before making a second statement. The EU countries put on a worse show in the name of democracy. It did not show the same attitude towards the coup attempt and aftermath of the coup in Greece and Spain. What was more embarrassing for them was continuing this attitude even after the coup was eliminated. This was not only visible by the leaders of the country, but also in the so-called civil media institutions as well. 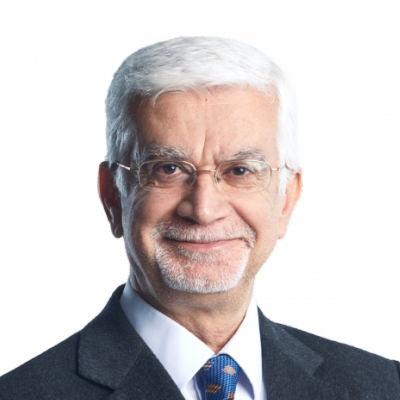 During the conflict hours in Turkey, the head of a USA think tank claimed, similarly to FETO, “Erdogan was a megalomania that put the country in conflict. Who would miss him?” On the 21st of July the BBC published a report titled “Recep Tayyip Erdogan: Turkey’s Ruthless President” that aimed to justify the coup. An article written on the 18th of July by a Turkish writer in New York Times had the title “Erdogan’s followers are like sheep, they do whatever he tells them.” The same newspaper confirmed that Gulen was behind the coup, but instead of condemning him, the culprit and victim changed places and Erdogan’s management was associated with the Nazis. The Guardianclaimed, by quoting Gülen that the coup attempt might be “a show directed by Erdogan”. The Daily Telegraph of London titled its coup article “Coup in Turkey: the military considers itself as the protector of the secular regime and constitution”. A lot of Western media published verbal and written interviews with Fetullah Gülen, which aimed to present him as other worldly, a calm and humble preacher who had nothing to do with this bloody coup attempt. We can show just how undemocratic and uncivilised their country governments, media organs, experts and journalists are with a single comparison. How would the West feel if there was the probability that a new Hitler had attempted a coup against the government in Germany and newspapers and journalists in Turkey wrote that Germany had deserved it? How would the USA react if the Turkish media had stated that the USA deserved the 9/11 attacks and invited the country to be compassionate to Al Qaeda and Bin Laden, or carry out interviews with Bin Laden and give him the residential rights in Turkey? It is obvious that the EU countries and the USA failed in their test of democracy by not condemning the coup attempt and the culprits enough and at the right time, or failing to support democracy. Then we may ask, why? Why did the West tread on their values and not show their support to Turkey during this stage? Why were they so upset that the coup was unsuccessful? These can be answered with a few factors explained below. The Western countries and especially the USA claim that their foreign policy principles are based on the spreading and protecting of democracy. However, empirical studies show that this is rarely the case. The West always keeps their national interest above any principle. That is why their values sometimes becomes a tool for their national interest, thus they can abandon their values and democracy for national interest and partner with undemocratic governments. There are many examples of this including France’s relation with Algerian dictators, who purge Islamic opponents; The USA’s relation with anti-democratic South Korea in the past and current relation with Saudi Arabia, which has no respect for human rights, and its constant support to dictator Sisi during and after the Egyptian Coup against democratically elected Mursi government. This list can go on with examples like the close relationship between Germany and anti-democratic Iran. All these show that it is not human rights and democracy that define the foreign policies of the Western countries, but national interest. While they ignore the dictatorship regime that ignore basic human rights and freedoms of countries with which they hold tight relationships, they do not hesitate to destabilise or support those who try to destabilise democratic countries that defy the policies of the Western world. The civil society organizations that are funded by the Western states might try to manipulate every level of the society into their ideology and opinions. Failing to condemn the July 15 coup attempt on time and avoiding to support the democratic government has once and for all proven that the West prefer their national interest more than moral values and democracy. This has not slipped the Turkish people’s attention and it will never be forgotten. Terrorism first emerged as a systematic method in the West after the French Revolution and spread across the world. In the establishment of communist and fascist administrations of the West terror was widely used. So namely, the West is not foreign to the idea of terrorism or its practices. Despite this, for the last years the West insists of referencing terrorism with Islam. During the start of the millennium, the West formed a strong connection between Islam and terrorism through al-Qaeda. Currently ISIS is embodied as such. However, instead of keeping the terrorist accusations and criticisms limited to this organisation, the West spreads this concept and identifies it with almost all Muslims and Islam. They sometimes tend to present the war on terror equivalent to war against Islam and Muslims. What is more the formation of organisations such as al-Qaeda and ISIS are still unclear and it does seem that they might have been originated by the secret services of some Western governments. The West also has an important role in the current downfall of Iraq and especially Syria. The US’ false justification of the Iraq invasion with fake documents and Syria’s preference of dictatorship over a Muslim tendency regime was effective in terrorist organisation’s invasion of the majority of Syrian land. Another peculiarity is that the West considers religiously referenced organisations as terrorists and attacks them, but fails to define secular organisations that carry out the same deeds as such. Ever since the beginning of 2010, the West sees Turkey as a country that supports ISIS. This is not because Turkey is supporting the organisation, but because it refused to fight against ISIS in the name of the West and carry their burden on its shoulder. As such, in one of his speeches Obama complained how Turks failed to use “their wide army to fight against ISIS”. Most Westerners believe that Turkey is governed by radical Islam and that Erdogan is a radical Islamist who wants to turn Turkey into an Islamic state. The FETO network that carries false, corrupt accusations to its Western allies feeds this claim. In return, the West presents and defends Fetullah Gulen as a moderate, democratic, civil religious leader. However, the reality is completely opposite. Whether you like his policies or not, whether he is right or wrong, Erdogan is a leader that has gained power through democratic elections and thus can only be dethroned through elections by the people. AK Party management has been the pioneer of centring Turkey, breaking bureaucratic guardianship, giving Muslims and non-Muslims their rights, producing various media outlets, developing freedom of expression, returning the usurped foundation goods of the non-Muslims, giving equality to the Kurds etc. On the other hand, FETO is a totalitarian structure that manages with a steel discipline, works behind closed doors, forms a parallel bureaucracy within the state, controls every area of life of its members, and does not hesitate to use violence. However, Gulen is aware of the West’s fear of radical Islam and Islam referenced terrorism and uses it. As such, during the interviews he gave to the Western media after the coup attempt, he presented himself as a representative of moderate Islam and stated that he was prepared to help the West in this line. The West, which refuses to see the real position of the subjects, believe that by supporting Gulen against Erdogan they are fighting against radical Islam, while failing to realise that they are actually supporting radicalism. In fact, the existence of AK Party government and its activities that is what prevents the radicalisation of Islam among Muslims and the spread of ISIS in the country. Turkey’s economy has tripled in the last 15 years and this has, in return, affected nearly all areas of social life. As it became richer and stronger, it started to attract the people around the area with common historical and cultural heritage. The country that became financially richer began to work towards an independent and multi-dimensional foreign policy. This began to disturb some countries, especially the USA. Until recently, Turkey was not able to form, or contribute to forming a foreign policy in a regional scale. The regional policies were determined by the West, in accordance to their national interest, and Turkey was expected to follow and serve it. The terms “national interest” and “America’s good friend” in the American jargon are the symbolised version of this attitude. Turkey is now less dependent on the West and wants to play a bigger role in determining the foreign policy. For this, it is trying to move towards a multi-dimensional foreign policy and increase the indigenousness rates in the defence industry to strengthen the country’s national defence. In the cases where their national interest does not coincide with the West, it becomes obstinate and adds conditions. This turn of events makes the west extremely uncomfortable and thus they hope that Erdogan loses power in whatever way possible. The situation in Turkey and the current events are transferred to the West via two channels: FETO and PKK. FETO presents Turkey to the West as a radically Islamic country that supports terrorism, and is ruled by a dictator who has taken away all democratic rights and freedom. The FETO groups in almost all the countries are carrying out lobby activities via the media, civil society groups and government bureaucrats. PKK’s lobby groups are also on the same line. It is seen that fanatic and prejudice writers such as Michael Rubin are all parroting FETO’s theories and claims. Turkish civil society groups do not have the ambition, or sufficient source and skill to transfer the correct version of the incidents and events in the country to the Western counties. The international information networks, mainly the state’s ministry of foreign affairs, were either partially under FETO control or did not work at all, or worked against the state. Thus it is very difficult for the West to receive correct and sufficient information on Turkey and form Turkish policies based on the information. There was a social agreement against the July 15 Coup attempt in Turkey. There were people of all ideologies in this agreement particularly from AK Party and MHP ranks. An important number of people from CHP also fought against the coup. The HDP alignment also showed support against the coup even if the party rulers didn’t. Other parties that were not represented in the parliament such as Saadet Partisi, Hak-Par and Hüda-Par firmly opposed the coup as well. On the other hand, there were groups that did not oppose and in fact gave direct and indirect support to the coup. We have to write about them for record. The foremost group of supporters were the radical leftist groups. The people’s resistance on the July 15 once again proved that the left did not love the citizens as they are, but the idealised and characterised citizens of their own ideology. The leftists who are addicted to revolutions either ignored the July 15 revolution or demeaned it. For example, leaving aside the radical leftists, even the Birikim magazine group, who were considered more moderate and democratic, did not show an open attitude against the coup. Whereas if the leftist groups had gone against this coup and prevented it, they would have written many legends and heroes that would have been told for many generations to come. Some liberals also failed to openly condemn the coup due to their Erdogan hatred and adopting an ahistoric position. Even if they did condemn it, it was very subtle and did not focus on the culprit. Their ignorance of the Turkish people started during the May-June 2013 Gezi revolts and reached its peak during the 17/25 December 2013 events. They decided to side with the illegitimate in the conflict between the legitimate and illegitimate. Through incorrect rendition of liberal values, they thought and presented the idea that a totalitarian structure’s struggle was the struggle for freedom, democracy and rule of law. They considered a totalitarian monopolist, exclusivist group, which organised within the state, used state status, authority, and equipment, as a power that would balance the elected government. They contributed to the image that FETO was trying to draw about Erdogan, the government and Turkey. They accused their peers, who did not think like them, of depending on the government to writing and thinking for profit. Even though the information and documents on the reality of FETO increased each day, they still refused to leave their position on the night and aftermath of the coup. By directly or indirectly supporting the coup they managed to successfully add the terms “coup supporting liberals” and “coup lover liberals” to the liberalism dictionary7. As it is obvious the West has lost huge prestige among the Turkish citizens by not giving timely, sincere, and sufficient support to democratically elected government against July 15 2016 military coup attempt of the Gulenist gang. No reason can excuse this upsetting attitude. This failure of the West will never be forgotten. The Turkish peole will feel no indebt to the West for its democracy and not surprisingly many Turkish citizens are to tend to think that Turkey is a democracy not due to West’s help but despite the West. Michal Rubin, “Will There Be a Coup Against Erdogan in Turkey?”, http://europe.newsweek.com/will-there-be-coup-against-erdogan-turkey-439181?rm=eu. To see that the claim that American foreign policy depends on democracy is baseless and wrong look at James L. Payne, “Making the World Safe for Muddle: The Meaning of Democracy in American Foreign Policy”, The Independent Review, v. 13, n. 4, Spring 2009, p. 601-610. Tarkan Zengin, “Halkın devrim yapmasına öfkelenen sol”, Star-Açık Görüş, 14 August 2016.